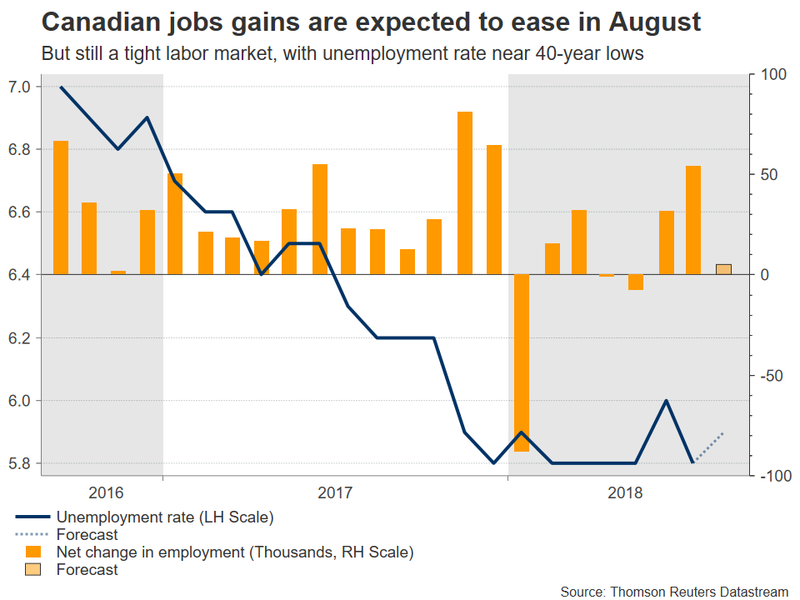 Employment data out of Canada will be made public on Friday at 1230 GMT, with forecasts pointing to a cooling in the labor market during August. If so, that could cast further doubts on expectations for a BoC rate increase at the October gathering and thereby, bring the loonie under renewed selling interest. 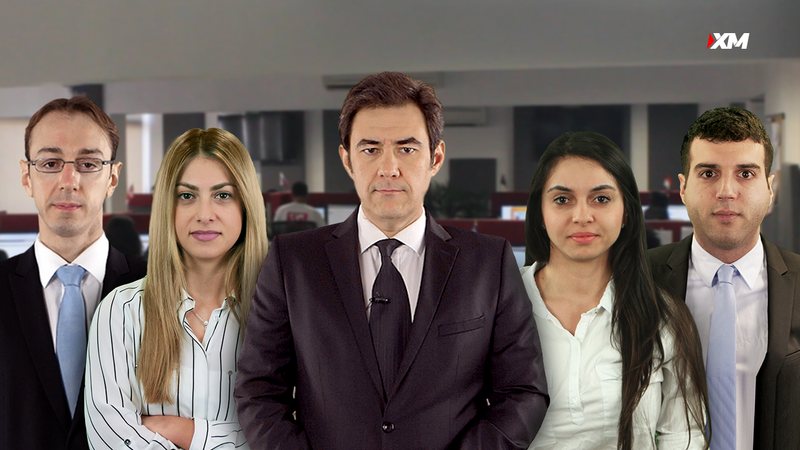 Beyond Friday’s data, the currency’s overall direction will also depend on whether the NAFTA talks between the US and Canada bear fruit soon, or not. After the Bank of Canada (BoC) kept interest rates unchanged on Wednesday and signaled it’s monitoring the NAFTA negotiations closely – the first time it did so in a policy statement – market participants pared back their bets on a rate increase being delivered at the next meeting in October. Specifically, market-implied odds derived from Canada’s overnight index swaps now suggest only a 60% probability for a hike in October, from 78% prior to the gathering. Therefore, incoming data over the coming weeks will probably play a large role in shaping expectations around how the BoC will act, and thereby in determining the loonie’s forthcoming direction. In August, the nation’s unemployment rate is forecast to have risen marginally to 5.9%, from 5.8% previously. The uptick appears to be owed to expectations for flat jobs growth, with the net change in employment projected to clock in at 5.0k – still a positive number, but significantly lower than the 54.1k in July. Beyond data and monetary policy, the other crucial determinant for the loonie’s fortunes will be how the US-Canada NAFTA negotiations play out. The talks failed to yield results last week, with the main sticking points relating to Canada’s unwillingness to scrap measures supporting its dairy and poultry farmers, and the nation’s insistence to retain a disputes settlement mechanism that was part of the original NAFTA deal. The negotiations resumed yesterday, and any signs that an agreement is inching closer could diminish some of the NAFTA risk premium on the loonie, potentially triggering a relief bounce. What’s more, such an outcome would likely make the BoC more confident in hiking rates too, as one of the biggest risks surrounding the economy would disappear; of course, the content of any such deal is also important. On the other hand, hints that Canada may prefer to play “hardball” and prolong the talks with an aim to negotiate a more favorable deal, could keep the loonie under pressure as uncertainty lingers. Technically, further advances in dollar/loonie could encounter immediate resistance near 1.3207, the high of September 4. An upside break of that zone could open the way for the July 20 peaks of 1.3290, with even steeper bullish movements eyeing the 14-month high of 1.3385. On the flipside, a pullback in the pair on the back of encouraging data or a breakthrough in the NAFTA talks, may find initial support around the 1.3105 mark, defined by the top of August 24. If the bears push below it, declines could stall near the 50-period moving average on the 4-hour chart, currently located at 1.3026. Even lower, the three-month low of 1.2855 may attract attention.